It was my first trip to Malaysia and my first time on Malaysia Airlines. While I tried to sleep for the most part, of course I made sure that I was wide awake for meals. 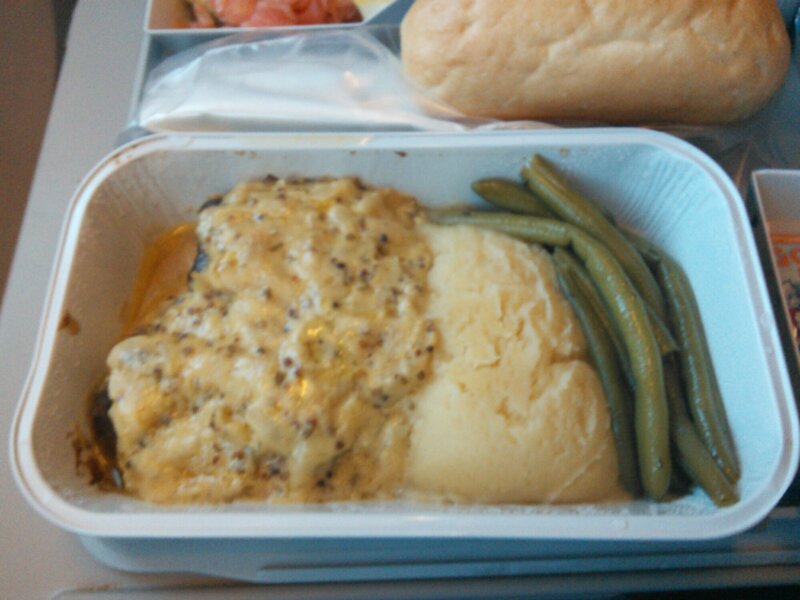 Lunch or Dinner (depending on whether we were on KUL or FRA time by then was Beef Brisket smothered in a Dijon mustard sauce with green beans and mashed potatoes. 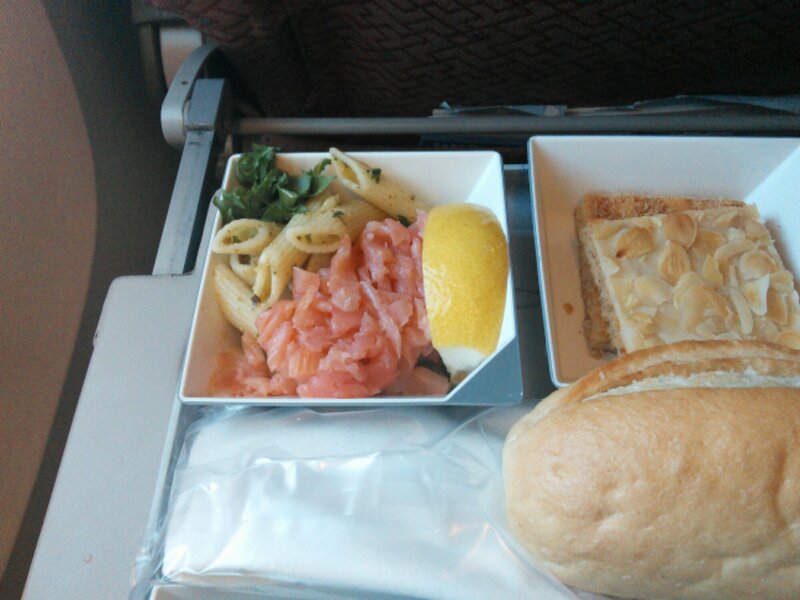 On the side was a pasta salad with a generous (proportionately) helping of minced salmon and a lemon wedge. Wine was an option for a beverage and real butter was included for the bread. While there was a chicken and dumplings option, I do take note that there was no vegetarian option available. A few hours later we were given a box of snacks, which had some cookies, chocolate covered peanuts, and some other things. The entertainment was plentiful, but the technology was a little more difficult to operate as compared with other airlines. I could not seem to turn on the radio for music. I ended up watching A Boy Called H which was a film out of Japan set during the WW2 period. I kept nodding off during it, but would love to watch more than the first 20 minutes of it when I get the chance. The radio started working unexpectedly around breakfast time. Breakfast was served 2 hours before landing and was preceded by an announcement that, due to expected turbulence, hot beverage service would be suspended. I was most certainly not happy to hear this. Despite my severe disappointment, the breakfast consisted of rice, a reheated egg, shrimp paste, fruits, yogurt, and a croissant. Soon after, the coffee was served and life was good again.